Whether you are at the start of your legal career or are already an experienced solicitor or barrister, you can use your legal skills to make a valuable pro bono contribution. There are a number of ways in which you can do so as an individual solicitor or barrister. Which one are you? Many lawyers who wish to make a pro bono contribution choose to do so by volunteering, particularly solicitors whose firms do not provide opportunities for pro bono work in-house. 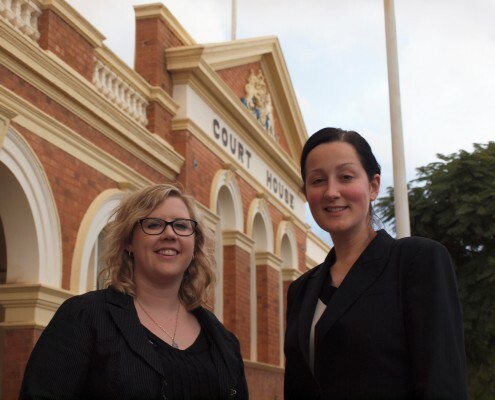 Volunteering at a community legal centre (CLC), for example, is a great way to make a pro bono contribution within a pre-existing program focused on increasing access to justice. There are both generalist and specialist CLCs, and most offer training and host after-hours clinics where you can provide assistance. If you are interested in volunteering at a CLC please see CLC Volunteers to find a CLC currently seeking volunteers, or visit the community legal centres page in the Links to Legal Help section of this site. You may also like to visit Social Justice Opportunities, a resource created by the Centre which provides information on the types of volunteering (and employment) opportunities available in the social justice sector. This website, targeted primarily at new lawyers and law students, also contains a listing of ‘Latest Opportunities’. If you are a barrister you should contact your Bar Council or Association regarding opportunities to make a pro bono contribution. In most jurisdictions, the Bar operates a formal pro bono referral scheme in which you can participate. Generally this will involve agreeing to consider requests for advice or representation from the Bar (or organisation that manages the scheme) in areas of law in which you have expertise and interest. In some states the Bar also supports a Duty Barrister Scheme operating at one or more local Courts. If you are a solicitor who does not wish to volunteer with another organisation, and are unable or unwilling to undertake pro bono work under the auspices of your firm, there are less opportunities available except on an ad hoc basis. Examples of this could include providing legal assistance to a not-for-profit organisation with which you already have a relationship. Otherwise, in the first instance you may wish to contact your Law Society to see if there is a formal pro bono scheme and/or advice session which individual solicitors can participate in. If you are planning on engaging in pro bono legal work in your own capacity, you should ensure that you have the appropriate type of practising certificate. Your local regulatory authority can provide you with details on the requirements in your state or territory. Volunteer practising certificates are also available in many jurisdictions. 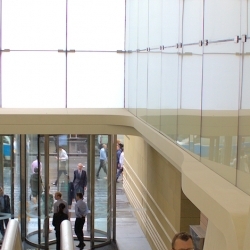 You should also ensure that you are covered by appropriate professional indemnity insurance. This may be provided by your employer, the host or referring organisation (as appropriate) or on your own behalf. 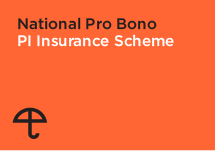 If you are not covered by professional indemnity insurance for pro bono work, you may be able to obtain coverage under the National Pro Bono PI Insurance Scheme, which is operated by the Centre. Even if you are working in a practice area that does not naturally lend itself to pro bono referrals, there are other ways to become involved. Speak to your firm’s pro bono coordinator for more information. If your firm does not have a pro bono program and you would like to be involved in establishing one you can contact us for practical and confidential advice, or refer to the For law firms and practices section of this site. 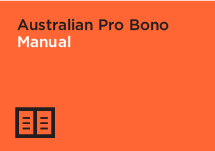 This section contains many useful resources; for example, the Australian Pro Bono Manual is a useful starting point. The Manual is a ‘how to’ and ‘best practice’ guide on establishing and operating a pro bono program within a law firm or practice. An updated version of the Manual will be released in early 2016. See also section 2.6 of Pro Bono Partnerships: A Practical Guide to What Works, which outlines ways that individual lawyers and barristers can get involved in pro bono legal work. In 2007 the Centre established the National Pro Bono Aspirational Target of 35 hours of pro bono legal work per lawyer, which can be signed up to by individual solicitors and barristers. The Target is a well-respected and widely adopted benchmark for measuring pro bono contributions in Australia. 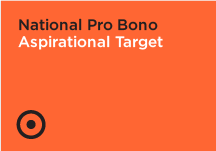 If you would like to become a signatory to the National Pro Bono Aspirational Target, or would like more information, please click here. For more information about pro bono please see the Information about pro bono section of this site, which includes our definition of pro bono, publications produced by the Centre, examples of pro bono case law and many other useful resources.